Morell, who abruptly resigned from the CIA in June 2013, took a job that year at the Beacon Global Strategies firm, where he still works as senior counselor. Beacon was founded by Phillippe Reines, who served as Communications Adviser to Hillary Clinton while she was secretary of state. From 2009-2013, Reines also served in Clinton’s State Department as the Deputy Assistant Secretary of State for Strategic Communications. Reines is the managing director of Beacon. He is the man who is reporting the CIA believes Russia tried to influence the election and he just happens to have ties to Hillary Clinton. The mainstream media and the Democratic Party have taken his claim and run with it; somehow turning it into an official CIA report when as far as we know there is no report. The FBI, as well as several other intelligence agencies, do not agree with this report which does not exist but that has not stopped them from repeating the talking points. Absent from the news media coverage of Morell’s statements is that he is known for his leading role in helping to craft the infamously misleading talking points used by Obama administration officials to blame the September 11, 2012 Benghazi attacks on a YouTube video. We heard all of this prior to the election and rected Hillary’s neocon war mongering. 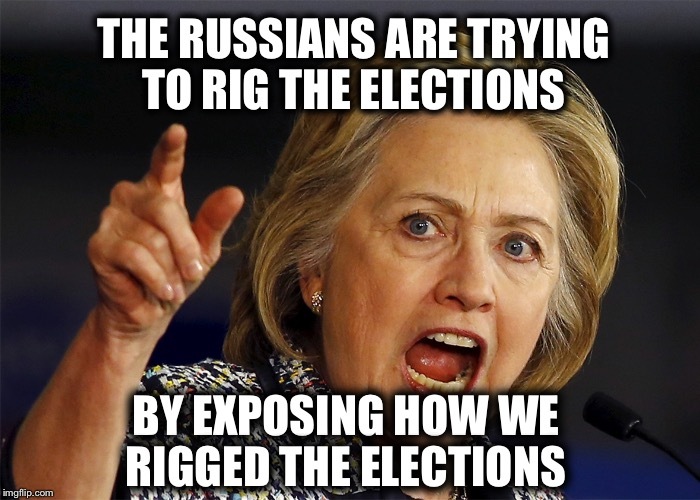 How did the Russians interfere with the US election? No one can point to a single case of interference. What happened in Detroit speaks to the opposite scenario. As I recall Hillary was home resting and not campaigning. We do know that Hillary obtained foreign donations in the hope she would win and share the spoils with those donators. Here is Morrel on Charlie Rose before the election espousing his neocon views. Something like 35 counties were ineligible for recount because there were too many votes cast and not one person is talking about this. I’m watching a repeat broadcast of the Charlie Rose show with this pinhead Morrel while reading your article. This Hillary political hatchet man leaves little doubt that OIC (Obama’s Intelligence Community) was in her back pocket as us Rise and those of his ilk. What a disgrace. Things just didn’t work out as planned and “somebody” has to take the fall for it….cannot be Clintons fault that she just did not click with the American people or that she messed up countless other ways…oh NO! They will just not up on this Electoral crap, I am tired of hearing it. The hacking is going nowhere, so onto the next take down and that is the vote on the 19th. If they can pull that off, what do you think the American people that voted for Trump will do? I just see them as very bad losers, that will be their legacy……. I am tired of the Electoral crap as well, they are pushing this as a viable option and even the right wing sources are getting caught up in it. It is just hysteria in my opinion and I cannot wait until the official vote is finally over. This kind of sums it up…. Merry Christmas and Happy Hanukah as well!